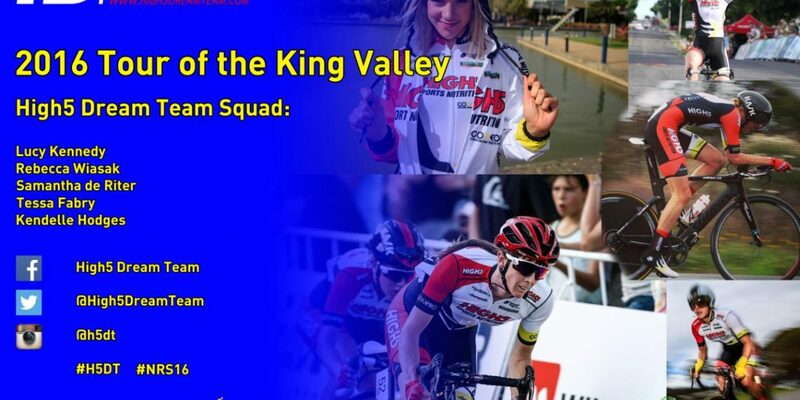 As the National Road Series returns from its winter break, the High5 Dream Team are sending arguably their strongest squad of 2016 to the Sam Miranda Tour of the King Valley. 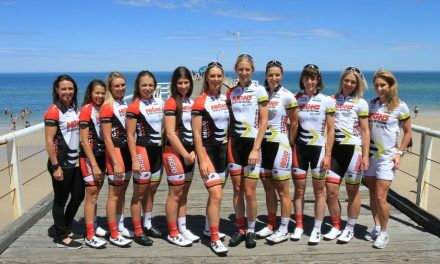 Rebecca Wiasak makes her return to the road, and will be one of the favourites for the nine kilometre Stage 1 time trial. 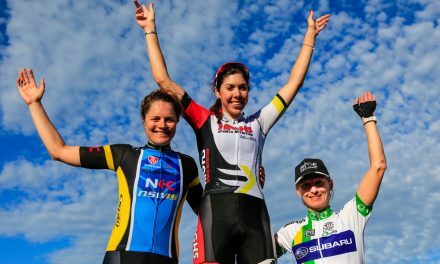 After a successful stint racing in the US, Kendelle Hodges also returns to the team, while Lucy Kennedy continues her comeback from a broken collarbone sustained at Battle on the Border. “It’s exciting to have the full High5 Dream Team back together so we are able to make the most of everyone’s strengths. “I really enjoyed King Valley last year, particularly the Strade Nero gravel climb, so am looking forward to racing there again,” said Kennedy. 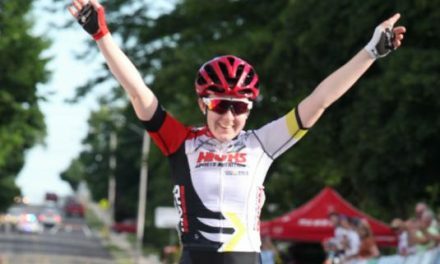 After a winter spent honing her off-road skills racing cyclo-cross, the infamous Stage 3 Strade Nero will certainly suit the strengths of Tessa Fabry as the Victorian relishes the tough conditions, as shown by her solo stage win at the 2016 Mersey Valley Tour in atrocious conditions. “I’m looking forward to getting back on the road to race the Tour of the King Valley after a fun muddy winter of cyclo-cross racing. “The new course for Saturday’s Strade Nero road stage looks really exciting with some extra dirt sections after the climb that could see the race split up more than in previous years, it will be really interesting to see how the race unfolds” added Fabry.